You have a busy life. Between kids, friends, and obligations at work, you can frequently be heard saying that you’d lose your head if it wasn’t so firmly attached to your neck. We get it. During the course of your typical day, you probably don’t spend two seconds thinking about your siding. In fact, it probably doesn’t even cross your mind at all. Despite the fact that you see it every time you sit on your back porch or sprint out the front door with the jacket your child forgot to put on, siding just isn’t one of those things that’s at the front of your consciousness. 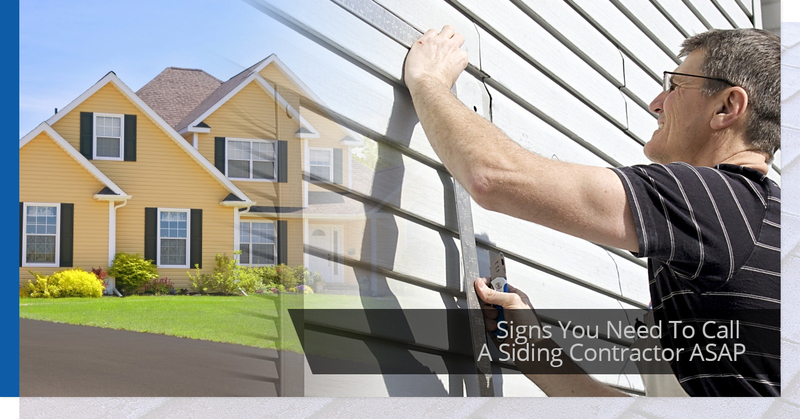 Keep reading to learn the warning signs that you may be in need of a siding contractor, then contact 1800 Roof Plus for a FREE siding analysis today. Why is it so important to pay attention to the siding on your home or commercial building? Because it’s one of the only things keeping the elements from invading your home, of course! To illustrate, let’s use the human body as an example. You (probably) wouldn’t go outside naked. It would shock the pants of your elderly neighbor, for one thing, not to mention really uncomfortable if the weather was the least bit hot or cold. So, you wrap your body up in layers of clothing to protect it from the elements. Now imagine your home as a human body. The roof, walls, foundation, and siding are like layers of clothes that protect the interior of your home. In this metaphor, the roof is like a hat, the walls are like the shirt and pants, the foundation is the shoes, and finally, the siding is the jacket that covers everything up, protecting it from the elements. Siding is your home’s first line of defense against everything the outside world throws at it, and if your siding is damaged or outdated, it could cause serious problems. Bubbling Or Blistered Siding – If your siding is exposed to excessive heat or moisture, bubbling and blistering are often the result. Call your siding contractor to discuss replacement, and ask them to identify the source of the failure so it doesn’t just happen again. Hail Damage – When a hail storm comes through the area, siding often becomes damaged. If you’ve noticed chips, dents, or cracks in the aftermath of a storm, your home could be at risk for moisture damage. Call a contractor immediately. Dry Rot – That ugly stuff making your home look 20 years older than it really is? In the siding industry we call that dry rot and we recommend you do something about it right away. Dry rot is a type of fungus that can weaken your siding and eat away at the wood underneath. Loose Siding – An inexperienced installer, wind damage, and old homes that are settling into their foundations are all causes of loose siding. 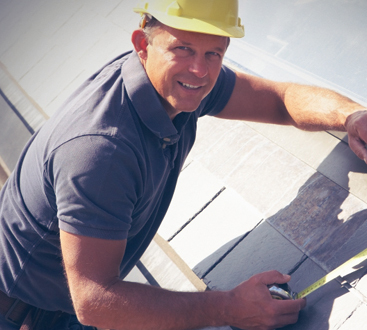 Regardless of why your siding has become loose, it’s important to call a siding contractor to check it out. Left to its own devices, loose siding will fail to protect your home and ultimately crack or fall off. 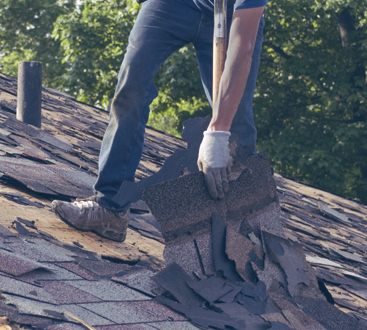 Yes, we know our company name contains the word “roof” but this isn’t the only service we can provide for your New Jersey home or business. Our technicians are expert siding contractors who can evaluate your residential or commercial property and recommend the necessary siding services. Don’t leave your home open to damage from the elements. Call today!